It’s not as difficult as you might think! Garden landscape architecture sounds quite fearsome but it is a very broad classification of landscaping that includes such subsets as landscape design, garden design and many other subcategories of landscaping. 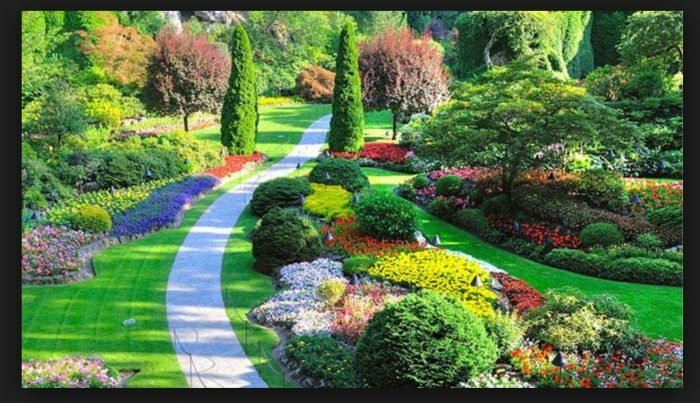 Estate or garden landscape architecture is, by definition, the art, design, planning, preservation, management and rehabilitation of land as well as the design of human built constructs. If you can get some time to try landscape architecture, do so, it can be great fun. Landscape designers are typically employed with landscape service and construction companies. Garden designers and landscape designers both design many types of plantings with flowers as well as green spaces. You’ve seen it in your town no doubt. The usual council type planting of the roundabouts and town centres. What about all those beautiful hanging baskets? The problem now however is that the health and safety are getting involved and dictating where they can be put which has nothing to do with the aesthetic aspects. A large number of landscape engineers work in public offices in local and central government, with many others working with landscape architecture firms. These are the guys that take on the estate type of work such as the bridge shown here. Landscape scientists are also involved somewhere in landscape architecture and have special skills in areas of study related to landscape architecture, such as soil science, botany or geomorphology. The projects of landscape scientists range from ecological assessment of large areas of land for management and landscape planning purposes to simpler site surveys. Landscape scientists sometimes report on various impacts that development of land may have, or the importance of a certain botanical species of a particular area. Landscape managers are typically the landscape professionals that have the largest knowledge bases about various plants and plant care, as well as longer term development of the land. Landscape managers work in such areas as estate management, forestry, horticulture, agriculture and nature conservation. Landscape architecture planners concern themselves with landscape planning toward the scenic, location and ecological portions or rural, urban and coastal land use. Their work is largely embodied within policy and strategy, written statements about master plans for new landscape developments, evaluations and assessments as well as preparation of countryside management programs and plans. Where can you get landscape construction ideas? If you are confused about getting the unique and attractive landscape design then you do not have to be worried about it. At present, the landscape construction is at its new level where innovation and conventional designing are working together to build up something new and advance. Right now, the professionals do have a huge range of options for you available in stock that too is customised. You just have to approach the right platform in order to get the best designs available to you. In addition to that, you so have a number of reference resources where you can access the best of designs in your hand. A number of magazines available on the book shelves do have more about nature and landscape designs; you can get to know about them easily. In our lifestyles, we are getting advanced and involved with nature along with technology so in a number of nature and lifestyle magazines, this is the major topic to discuss. The common ideas of gardening and plantation in the door and outdoors are discussed by the experts in their writings. You do have all the options to look for in order to have a customised design of your own. Furthermore, if you are not comfortable with the available information about landscape design then you do have the next option available with the online journals. Reading the publication can be a difficult task for you to use the latest technology and approach the stuff online. You will be having a good package of information and ideas to discuss with your landscape designers in order to have the ultimate garden available for your vegetable gardening. It will be helpful for you to arrange everything according to your desire and preference. If you have selected a specific landscape construction company and working with it then you do have the company’s journal in which you can get a number of ideas easily. 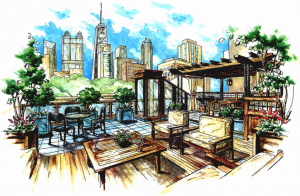 In their journals or portfolio books, the company’s do have a number of reference designs that are helpful for you to know what can be the options available to you according to your space for a garden. All you have to do is to go through the designs in detail so you will not miss out anything and then have a debate with your designers on the designs so you will get something exclusive. If you are still confused and not getting something satisfactory than you do have an option to discuss your referee material and ideas with the like-minded people. Thanks to all the social media platforms right now there are portal and web blogs available that are open for all kinds of debate. So, you can approach such relevant portals or logos where you can not only get a lot of information about the landscape construction or landscape design but also will discuss your points to get the people’s review on it.